The Kandalaksha activists filed a collective complaint with 1,066 signatures. The claimants stated in their documents they had legally dismantled their home radiators in the proper time and that this relevant information was included in their housing certificates. The intrigue has been that despite the fact that there has been no central heating in the protesters“ apartments for more 10 years already, the Murmansk Electricity Network has been requiring tenants to pay for the heat. The bills have been in excess of 100 to 120 thousand rubles (about $2000) a year despite the fact that all of the residences have switched over to electric heating. This switch was made originally due to the unreliability of the government service provided, but despite that no heating services have actually been provided, the electricity company, the housing inspection bureau, the prosecutor’s office and local and regional authorities including the Kandalaksha district court have all approved of the billing practices. This time however, the entire package of papers included the technical specifications issued in the early 2000s by the electricity company for the refusal of steam heating, references to the dismantling of radiators and risers, transfer of apartments to alternative heating, documents from the Bureau of Technical Inventory, the consent of the administration of Kandalaksha and finally, the act of admission of electrical equipment in operation. Actually, all these Kandalaksha documents have already been shown to the electric company as well as the housing authority, but nothing has been done. 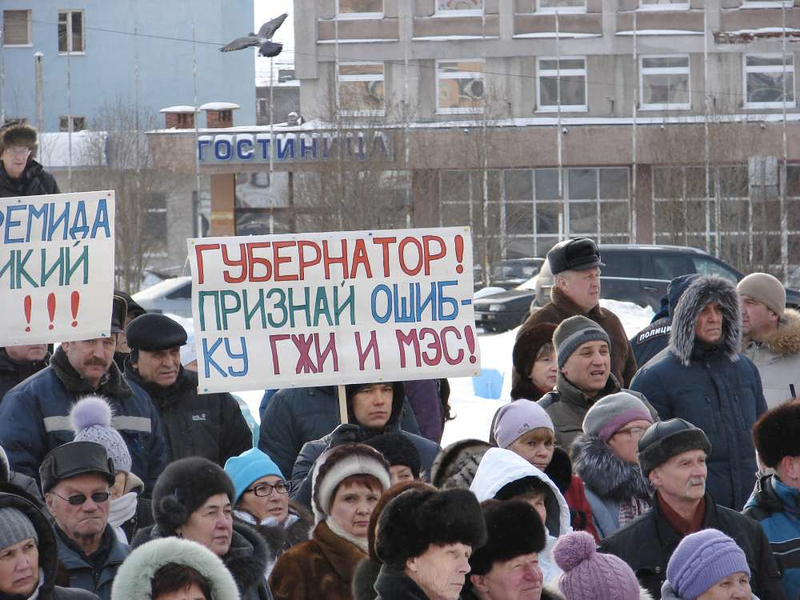 Additionally, the Federal Antimonopoly Service has also received several more collective complaints from citizens of Murmashi and Severomorsk where owners even have agreements in the “closed city” administration and with Severomorsk Heating Systems for the supply and payment of residual heating, which Kandalaksha protestors are accused of illegally using. There are also complaints from several Kandalaksha businessmen, one of whom even won his suit against the Murmansk electrical network in the Thirteenth Arbitration appeals court in 2016, though this has not prevented the electric network from continuing to issue heating bills to him. The electricity company representatives repeat their old song about the fact that the Russian Federation did not envisage the possibility of an individual citizen refusing state heating. However despite this, the Antimonopoly supervisors seem to remember their first year law school lessons: if a new law, even if adopted by the government, is contrary to the code, the code rules. And according to the Civil Code, people must pay for actual volume of energy delivered and delivery is possible only if there is a receiving device, in this case, a radiator. So here we have the main point: according to legal code, it is absolutely possible to refuse heating services unilaterally. And so the main conclusion made by the Federal Antimonopoly Commission is that if there is no service, there should be no payment. Inevitably, the commission asked the Murmansk Electrical Network to provide evidence that there has indeed been electrical service. Their answer however was only that there had been some resolutions made by the heads of the administration at the beginning of the heating season about housing connections and that there had been copies made of said resolutions. What this was supposed to prove in this case is of course difficult to comprehend. The commission also did not like the electricity company members’ mantra about the impossibility of identifying a single apartment as being separate from the apartment building it sits in which is, to put it mildly, far from the truth, since specific changes to the house’s certificates have long ago been in force. They also did not particularly like their second favorite mantra about how heat gets “transferred” from neighboring apartments. Apparently it was important to electric administrators to point the guilt towards the allegedly warm and sly Kandalaksha protestors. But the commission found that as the electric company could not show any measurements proving these «overflows», their argument was false. And in fact, The only argument the electric company had was the lack of a formula for calculating services for electric heaters, an argument which really cannot defy the norms of the Civil Code. And according to the code: demanding payment for an unsolicited service is illegal. And if that didn’t clear things up for the electrical providers, there was always the Housing Code which states that if any legal situation should arise that might not be described in the legal codex, principles of fairness and expediency should be applied. So, in the end, the electricity company has been found guilty of breaking the federal law “On Protection of Competition” for which administrative responsibility (their guilt) has been established. 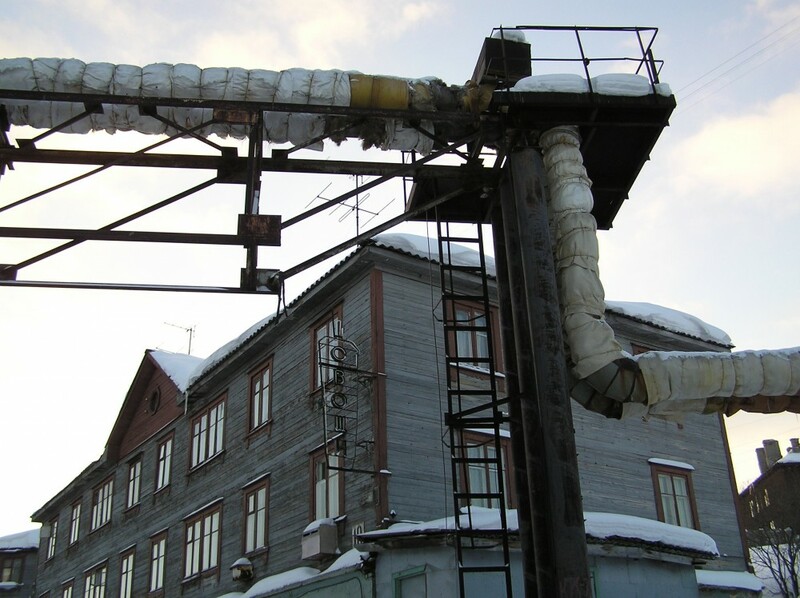 And the Murmansk Electrical Network has been ordered to stop abusing their dominant position in the market and issuing bills to those owners who have documented their transition to electric heating.